Grant and Grant Professional Corporation will represent your Family legal matters. Chicago Bar Association (Chair, Fees and Ethics Sub-Committee of Matrimonial Committee, 1992-1994), North Suburban Bar Association (Board of Managers, 1994-) and Illinois State Bar Association; American Academy of Matrimonial Lawyers (Fellow 1967-2013) Member, Admissions Committee, 1993-2013). Named to the Illinois "Super Lawyers" list 2006-2014. Author: "IICLE, Family Law-Motion Practice and Updates," Author: "Caveat Amator: The State of Affairs in Illinois after Hewitt v. Hewitt", DePaul Law Review. Instructor, Family Law, DePaul College of Law, 1978-1984. Listed as top 5% of attorneys by Best Attorneys Network in 2005; Selected by peers as Leading Lawyer in Family Law by Leading Lawyers Network, 2007-2014; Listed in Law and Leading Attorneys, 1996-; Named as one of Top 20 Divorce Lawyers by North Shore Magazine. 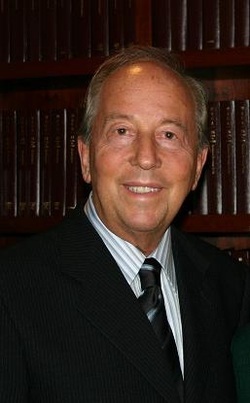 Family Law; Divorce; Matrimonial Law; Divorce Mediation; Family Mediation; Marital Property Distribution; Marital Property Settlements; Paternity; Spousal Support; Child Custody and Visitation; Child Support; Post Divorce and Parentage Modification and Enforcement; Domestic Violence; Complex Family Law Litigation; Collaborative Family Law. 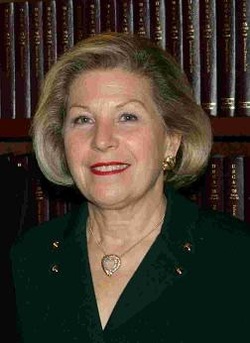 Chicago Bar (Board of Managers, 1994-1996; Vice-Chair, Court Liaison Committee, 1993-2000; Chair, 1992-1993; Vice-Chair, 1991-1992 and Secretary, 1990-1991, Matrimonial Law Committee), North Suburban Bar; Illinois State Bar (Family Law Section Council, 1993-1999, Chair, 2004-2005, Vice-Chair 2003-2004, Secretary, 2002-2003, Bench and Bar Section Council, 1999-2006; Domestic Violence Task Force; Legislation Committee, 2006-2011); The Florida Bar; Women's Bar Association of Illinois. Named to the Illinois "Super Lawyers" list 2005, 2006, 2010, 2011. Listed in Law and Leading Attorneys, 1998. Certified Divorce Mediator. Author: Chapter: "Family Law Litigation in Illinois," National Business Institute; Author: Chapter, "Post-Secondary Education Expenses and Support for Nonminor Children," ISBA Family Law Handbook, 1995 Edition and 2011 Edition. Certified Child Representative, Guardian ad Litem and Attorney for Child by the Circuit Court of Cook County, Domestic Relations Division.